Although Mac OS X has native support for web folders, we strongly recommend using a 3rd party application called WebDrive. 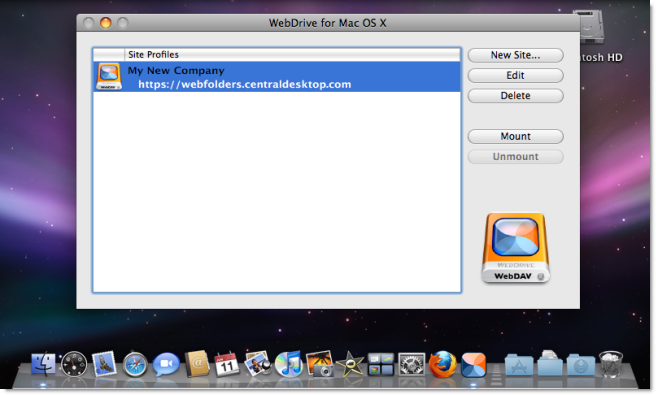 WebDrive allows you to mount the network folder to a drive letter and offers a much better WebFolders experience. 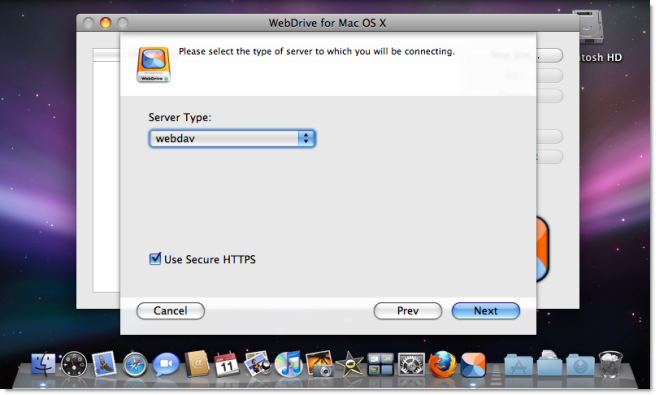 WebDrive is not free, however a free trial is available. 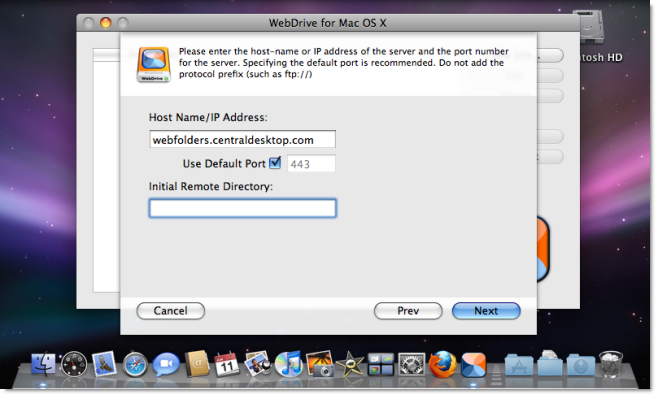 Download the client from the WebDrive website and follow the steps below to configure it to connect to your iMeet Central account. 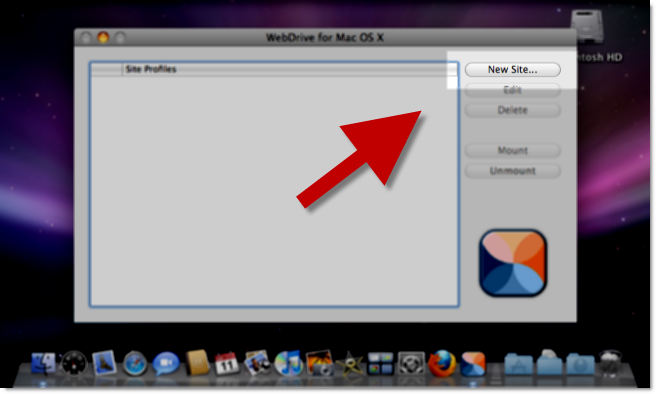 Note: It is also recommended that you update Mac OS X to the latest patch level. 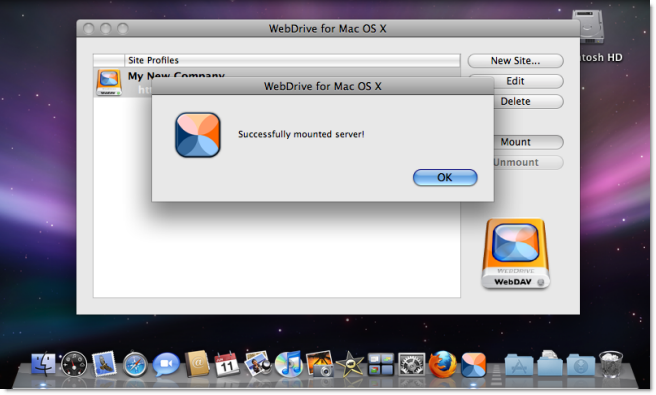 Download and install WebDrive. 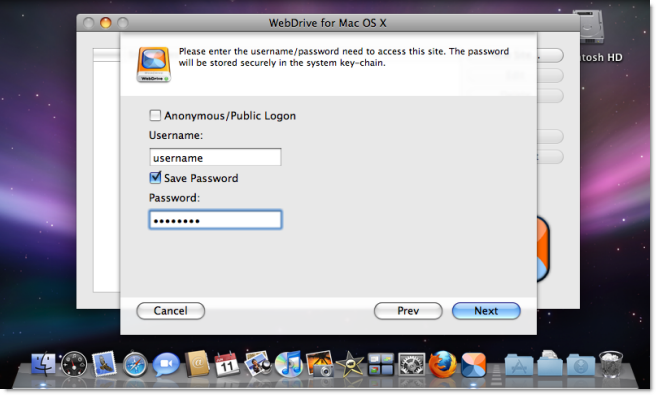 For additional information see WebDrive Online Help. 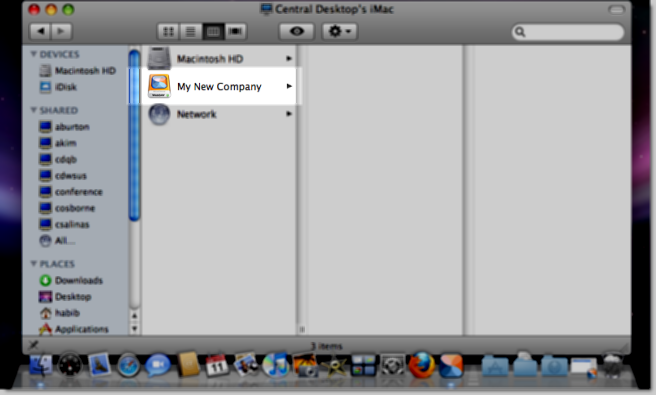 Enter your iMeet Central username and password, then click Next. Make sure to enter your username in all lower case characters.